Our luxurious executive rooms are modern and tastefully decorated. They boast a deluxe king size bed, spacious floor space and extra in room enhancements. 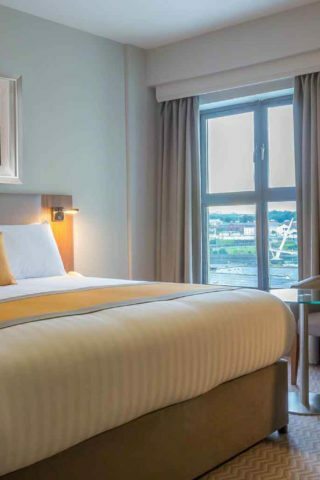 All our executive rooms at Maldron Hotel Derry are spacious and are complete with a king size bed with luxurious super King Koil pillow top mattresses and crisp white cotton duvets. For your added comfort these rooms are enhanced with bottled water, Lily O’Brien’s luxury chocolates, fluffy bathrobes and slippers. 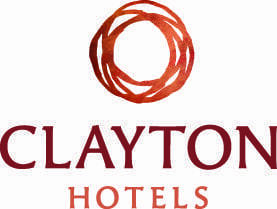 Our executive rooms can accommodate up to 2 people and provide and an impressive base for your stay in Derry CIty. Our elegantly designed rooms creates a warm and calming ambience ensuring you have a great night’s sleep. Take advantage of our free wifi and stay connected with what’s important to you. Each executive room includes stunning local photography taken by Irish photographer David Cantwell. Our executive rooms boast ensuite bathrooms with a bath and modern shower, indulgent toiletries, large flat screen TV, work desk with lamp, in room safe and tea/ coffee making facilities. The amenities and extra enhancements in your room are there to make your stay more enjoyable.